25 April 2006: In the United States, the term ‘inner city’ is commonly understood to mean poor, dysfunctional and Black. Nearly every large and mid-size American city has a core of neighborhoods where 40 per cent or more residents live below the federal poverty level. These concentrated poverty neighborhoods are characterized by abandoned and deteriorated properties, high crime, poorly-performing schools, drug markets and family breakdown. Concentrated poverty neighborhoods also produce their own urban culture - distinctive dress, music, speech patterns and behavior - that further isolates residents from the mainstream. 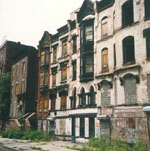 Efforts to improve inner city neighborhoods have mostly defied sustainable success. Private ventures like Michael Porter’s Initiative for a Competitive Inner City and James Rouse’s Enterprise Foundation have had mixed outcomes at best, often displacing poor residents through gentrification. Public strategies such as federal and state empowerment zones, which offer financial incentives to private developers generally have not met expectations. The New York Times some time ago published a summary of new academic studies of the status of young Black men in America. There are about 5 million Black men ages 20 to 39 in America. Their plight illustrates the challenges urban planners and policymakers face in redeveloping American inner cities. As reported in the New York Times, the huge cohort of poor Black men is becoming more and more disconnected from mainstream society, and to a far greater degree than White or Hispanic men or Black women. For Black men in America’s inner cities, finishing secondary school is the exception, legal work is scarcer than ever and prison is almost routine, with incarceration rates climbing for Black men, even as urban crime rates have declined. Although the problems afflicting poor African-American men have been known for decades, the new data paint a more extensive and sobering picture of the challenges they face. The share of young Black men without jobs has climbed relentlessly with only a slight pause during the economic peak of the late-1990s. In 2000, 65 per cent of Black male high school dropouts in their 20s were jobless -- that is, unable to find work, not seeking it or incarcerated. By 2004, the share had grown to 72 per cent, compared with 34 per cent of White and 19 per cent of Hispanic dropouts. Even when high school graduates were included, half of Black men in their 20s were jobless in 2004, up from 46 per cent in 2000, according to data compiled by Bruce Western, a sociologist at Princeton and author of the forthcoming book Punishment and Inequality in America (Russell Sage Press). Incarceration rates climbed in the 1990s and reached historic highs in the past few years, In 1995, 16 per cent of Black men in their 20s who did not attend college were in jail or prison; by 2004, 21 per cent were incarcerated. By their mid-30s, 30 per cent of Black men who graduated from high school and 60 per cent of those who didn’t had spent time in prison (Western). Men with criminal records tend to be shunned by employers, and young Blacks with clean records suffer by association. Being young and Black is often enough to be denied employment, even when all employment criteria are met (Harry Holzer, Peter Edelman, and Paul Offner, Reconnecting Disadvantaged Young Men, Urban Institute Press, 2006). Among Black dropouts in their late 20s, more are in prison on a given day -- 34 per cent -- than are working -- 30 per cent -- according to an analysis of 2000 Census data by Stephen Raphael of the University of California, Berkeley. Nearly 50 per cent of all Black men in their late 20s and early 30s are fathers who don’t live with their children (Holzer, et. al.). Terrible schools, absent parents, racism, the decline of manufacturing jobs and a subculture that glorifies swagger over work are cited as causes of the deepening ruin of Black youth. Scholars agree that all these issues must be addressed. The studies also agree that all the negative trends are associated with poor schooling. In a society where higher education is vital to economic success, programs to help more men enter and succeed in college may hold promise. Scholars call for intensive and innovative efforts to give children a better start, including support for parents and extra schooling for children. They call for teaching skills to prisoners and helping them re-enter society more productively, and for less automatic incarceration for minor offenders. “There’s something very different happening with young Black men, and it’s something we can no longer ignore,” says Ronald Mincy, professor of social work at Columbia and editor of Black Males Left Behind (Urban Institute Press, 2006). Help for inner city neighborhoods? While recent studies often go beyond traditional approaches to looking at the plight of Black men, they tend to advocate individual solutions to systemic problems. If one poor Black youth can escape inner city poverty through education, the logic goes, then so can others. In other words, they view concentrated poverty not as systemic in nature, but as a product of individual pathological lifestyles of inner city residents. This reasoning has serious implications for those trying to redevelop inner city neighborhoods without displacing current residents. The new wave of studies doesn’t accommodate the reality of sprawling land use patterns in American metro areas. In the US, federal, state and local government policies ensure that the best housing, education and employment opportunities are in the suburbs. 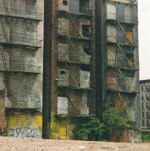 As development moves relentlessly outward, the centers of metropolitan areas deteriorate. Core cities suffer from both a diminished tax base due to population and business losses and the burgeoning costs of attempting to meet the increasing needs of poor residents. Essentially, the needs of poor communities of color are subordinated to the needs of more affluent White suburbs. Urban planners, policy makers and others trying to revitalize city neighborhoods without gentrification need analyses that recognize the link between concentrated poverty and the institutional policies that have created and perpetuated this subordination. While recent studies add substantially to our sociological and economic understanding of inner city lifestyles, they ignore the dynamics of metropolitan growth. Information on new scholarly studies of young African-American men is excerpted from “Plight Deepens for Black Men, Studies Warn: Growing Disconnection From the Mainstream” by Erik Eckholm, New York Times, March 20, 2006. One of the boldest and most successful experiments in citizen empowerment in the United States has been underway in Rochester, New York, for over ten years. Through the Neighbors Building Neighborhoods, or NBN, process, Rochester residents plan for the future of their city and help establish the city’s budget priorities.